Edition 8 of the tournament sees 8 banked track teams take to the pacific northwest. Find out who's who and what's what ahead of the three-day event. The Roller Derby Coalition of Leagues and host Tilted Thunder Rail Birds will present the latest iteration of Battle on the Bank, the first and only national banked track roller derby championship tournament, this weekend in Monroe, Wash. Eight teams will play some derby over three days to see who gets to haul home the winner’s trophy. The field is filled with many of the usual suspects, including the five member leagues of the RDCL. It also includes a couple of teams from Texas that are making return appearances after taking a few years off. The tournament will be double-elimination. Games will be 30 minutes on Friday and Saturday and 60-minutes on Sunday to determine the top finishers. The event also includes a juniors tournament, which will be contested in a round robin among three teams on Saturday and Sunday. A live webcast of the tournament is available here. Here’s the full schedule and bracket, along with the skinny on the participating teams. Who will be the Battle on the Bank champ? 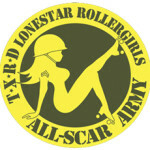 In a pleasant surprise, TXRD makes a return to Battle on the Bank after a two-year hiatus. Having been a part of the tournament from its beginnings in 2008, it used to always be a contender to get deep in the brackets, even almost beating the L.A. Derby Dolls in 2010. But that’s where the All-Scars peaked, dropping the in the final standings each year until they dropped out of the tournament altogether. But they’re back! TXRD’s place in the roller derby world is…well, we’ll call it unique. The roller derby it plays between the whistles is as legit as its flat-track neighbor in Austin, and in fact resembles highly what RDCL roller derby has become in the last two years. But even in 2015, it retains the kitschiness of the old game in during its home bouts: Penalty wheels, arm wrestling, pillow fights—and actual fights, too.2 It proudly waves that flag, but it returning to BotB shows the organization has no problem playing it straight, too. Houston’s banked track roller derby team took an even longer break between Battle on the Bank appearances, making their first and last one in Phoenix for Battle IV. They finished ninth out of nine teams. But that was a long time ago—how will another 4 years of experience see them fare in Seattle? While South Side has its own banked track like the others in the tournament, it is one of two participating leagues that do not currently have a permanent home for it. Lots of flat track practice and occasional public banked track bouts is all they have coming in, so it will need all of that extra skating experience if it wants to land its first win. The She Devils have been very busy over the last few months. After taking their first interleague win at Battle on the Bank VII in San Diego last July, they switched gears to play flat track fast-derby at MADE Nationals, where the team won that title. Last month, the team participated in the Derby Daze round-robin in San Diego to brush back up on RDCL derby in preparation for this weekend. In that event, the team went toe-to-toe in a 147-104 loss against San Diego’s B-team and looked very coherent against an L.A. B+team, despite a 228-75 loss. The amount of improvement they showed then was very obvious from game to game. 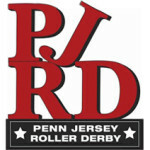 If their rapid improvement continues, Penn Jersey may be the first non-pickup team to beat an RDCL regular since the coalition started sanctioning BotB in 2012. San Diego had a very bad year last year. Many of the organization’s top skaters moved on, and the league itself went through a bit of a rough patch. But Derby Dolls South got through it and had a hell of a 2015, putting on two major tournaments, returning some veterans to the team, and demonstrating through play on the track that their 5th place result in 2014 was a circumstantial bump in the road. The Wildfires started the year off strong, winning 247-76 against Tilted Thunder and 243-82 against the OC Rollergirls. Last month, it played against Arizona in Arizona, falling to the Hot Shots 192-91. Even though the team is seeded where it is due to last year’s result, more recent data shows San Diego is clearly the third-best team coming in to BotB VIII—exactly the spot it was in coming out of Battle on the Bank VI. Though it lost to San Diego earlier in the month, the Psychos looked good at Derby Daze against those closer to its level. It beat the She-Devils 206-65 and San Diego’s B-squad 205-121, and got as near to LADD’s Doll Parts as anyone over that weekend, only losing 166-77. However, OC may find itself back at the bottom of the RDCL barrel once again this year, and maybe worse if it’s not careful. In the last two Battles, OC met a very equally-matched Tilited Thunder, and TTRB beat them both times in to-the-last-jam thrillers. The diligence of the Railbirds, with the resurgence of San Diego and the emergence of Penn Jersey, could knock OC out of the top five if it puts a skate wrong. Tilted Thunder enters Battle on the Bank in a disadvantageous position, despite having a huge advantage in playing at home. A recent post on their Facebook page sums up the team’s situation perfectly. No one is more happy to skate on the Tilted Thunder track than Tilted Thunder, but the lack of track time compared to everyone else in the field will hurt them. If it takes them a day or two to find their legs and get back into the form that landed them their first minor trophy last year, that’ll be a day or two too late. Over the last couple of years, Arizona has established itself as the second best team in the RDCL, despite not getting in as much interleague play as everyone else. But here they are, once again coming into Battle on the Bank as the only team with a semi-realistic chance of knocking Los Angeles off their high and mighty perch. But the size of that chance is is completely unknown. The Hot Shots lost their best jammer, The Lap Dancer, to retirement last year. How good their up-and-comers are is a big question mark given the lack of data points with which to judge the team’s performance (aside from the doubling-up of San Diego). However, it is certain that this year is the best chance Arizona has of making a game out of the final, where it is expected to face the current champion. Yup, the L.A. Ri-Ettes are the favorites once again. Their dominance in the banked track world is something you’ve been able to set your watch to over the last four years. The clock is still ticking strong in Los Angeles, even as the Derby Dolls have gone through a warehouse move that wiped out its entire interleague season. That season has traditionally pit LADD against some of the most powerful flat track and pick-up teams in the country, along with the usual suspects in the RDCL. The only real tuneup the team has had was in February against Tilted Thunder (in San Diego) in an easy victory, which is not enough to accurately say how strong this year’s lineup is. However, the level of talent on the roster, which is virtually the same as it was for Battle VII, is more than sufficient to make up the lack of game time. Another L.A. sweep of the tournament is likely. But unlike the last three years of Battle on the Bank, there is a glimmer of hope for Arizona, San Diego, and the rest that maybe—just maybe—the move from the Doll Factory to the Dolloseum has been enough of a distraction for the Ri-Ettes that someone can break through and beat them. But can it happen? That means the remaining RDCL junior programs—San Diego Dollinquents, Arizona Minor Assults, and the Tilted Thunder Rail Peeps—will round robin on Saturday in half-hour games to determine which two teams will play for the baby trophy in a full bout on Sunday. Last year’s junior tournament in San Diego was crazy in all aspects. The roller derby was competitive, and the quality of play was high—except for that one game where things got a little, uh, sloppy. What an insane game! Tilted Thunder beat OC 85-72 in a juniors game cut short due to mass attrition. 5 players were left between both teams. If the kids can keep it clean, there’s bound to be some hella-entertaining games from the Under-18 crowd. Don’t miss them. I know, this should be Game 5. But just go with the flow of the bracket we were provided, okay? 10.1 – Fighting is an acceptable element of roller derby. Don’t worry, it’s harmless play-fighting. But just the way it appears in their rulebook (PDF) in a non-plussed manner is frickin’ hilarious. Despite good success through crowdfunding, raising $43,000 to assist with relocation efforts. All the money in the world can’t buy what isn’t there, however. Almost all of those transfers were cross-town to Angel City’s new junior program, launched in the months during the L.A. Derby Dolls’ warehouse move. L.A. had planned a full public juniors intraleague season to double-head with their adult counterparts, but that too got put on hold while the junior program reconfigures.